Following the US exit, the new version of the Trans-Pacific Partnership (TPP) may offer an opportunity for China to invest more in Vietnam's state-owned enterprises (SOEs). By adopting TPP trade rules, Vietnam unveiled a target in 2016 to reduce the number of SOEs that are wholly state-owned to 103 in 2020 from 583 in fiscal 2016. 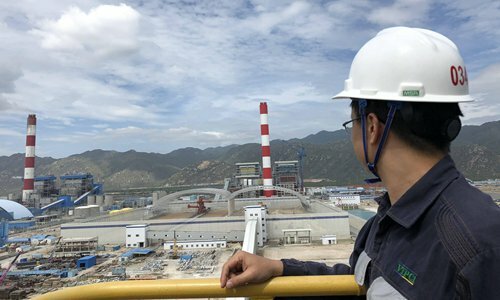 The Nikkei Asian Review reported there were still more than 500 SOEs in Vietnam at the end of 2018. This means Vietnam has to accelerate SOE reform in 2019 and 2020. The SOE reform is expected to be accompanied by Vietnam's effort to open its economy to foreign investment. The high standards of transparent governance in the latest version of the TPP, known as the CPTPP, will also help Vietnam promote administrative reform and cut red tape, creating favorable conditions for foreign companies to participate in Vietnam's SOE reform. Vietnam's SOE sector has been undergoing positive changes, and this trend should be noted by Chinese investors. As China's labor cost advantage shrinks considerably, some Chinese manufacturers are increasingly interested in setting up assembly lines in Vietnam. Chinese companies are in the midst of a boom in outbound investment, and some are turning their focus from the US and Europe to Southeast Asia amid trade tensions between Beijing and Washington. Vietnam has some attractions for investment from China. During the past decade, Chinese investment in Vietnam and bilateral trade have grown steadily. It's possible that China and Vietnam can cooperate more closely as the Southeast Asian country gears up its SOE reform process. But the privatization of state-owned assets is always a sensitive topic. If SOEs were privatized by foreign capital, there would be questions such as how to return state-owned lands. Sometimes state-owned brands involve national sentiment among local people, so selling them to foreign companies can arouse opposition. It will test the wisdom of Vietnam's government to steadily push forward SOE reform and attract more foreign investment. Challenge and opportunity are two sides of the same coin. As for China, Vietnam's SOE reform is at least an opportunity that calls for a closer look.